Mine came yesterday, sounds great and I have no qualms. Live albums normally have their share of baggage. I don't know any other album that captures raw energy like they did here. Hathaway and crew gives it their all. You are transported to another time and place and it's hard to imagine what the audience looked like while this was happening... they had to be losing their minds. This is the quintessential live recording. This repress on MoV isn't very good. It's too quiet and robbed of dynamics, it has added noise suppression and the stereo image moved to the left. I also noticed timing issues compared to the original ATCO release. Because of these issues you will not find the music immersive at all which says a lot about one of the best live recordings ever. Very bland sounding release. Avoid. Muddy, quiet pressing that doesn't do the music justice at all. In my opinion this is certainly the best Soul live album ever released. 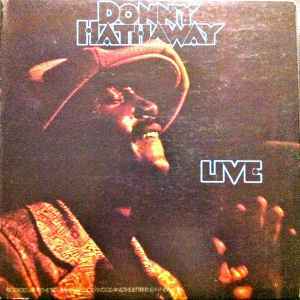 Not even Curtis Mayfield's or Marvin Gaye's brilliant live albums or any other got this emotional density and such an outstanding atmosphere. Besides the mountainousness performance of the band and Donnie, the sound & atmoshere is surely THE perfect reason for what it needs to release a Live album besides the regular studio release. This record has surely caused so many goosebumps that It should receive a special price donated by the medical association of the dermatologist as best analeptic agent.